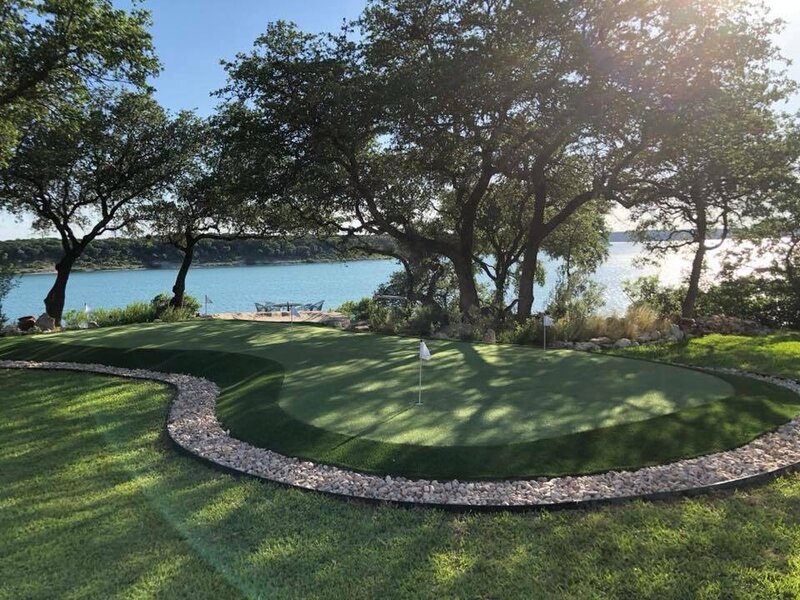 What a gorgeous spot for this beautiful custom golf green. Overlooking lake Belton in Austin, TX. 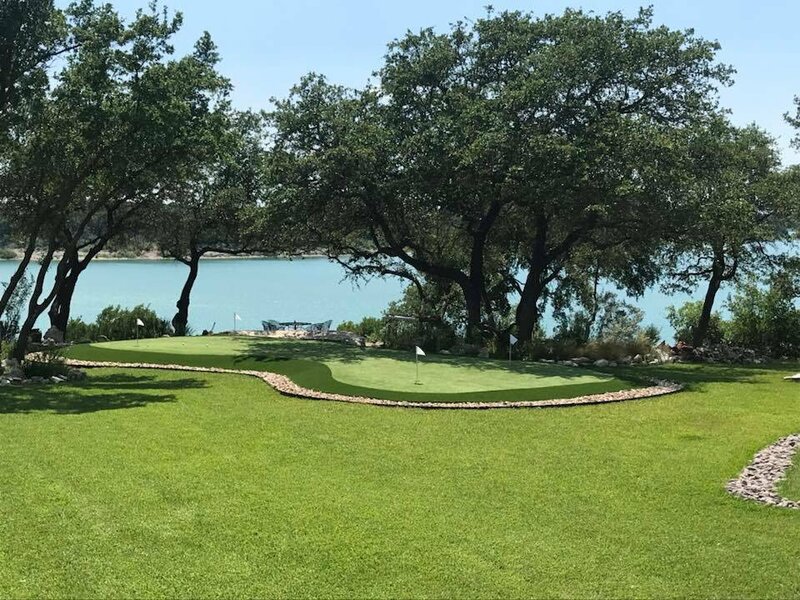 This beautiful artificial grass putting green is perfectly cut into the edge of the property, taking advantage of the amazing lakeside view. What more could you ask for? CG Artificial Grass Drainage System put to the test: The results are amazing! 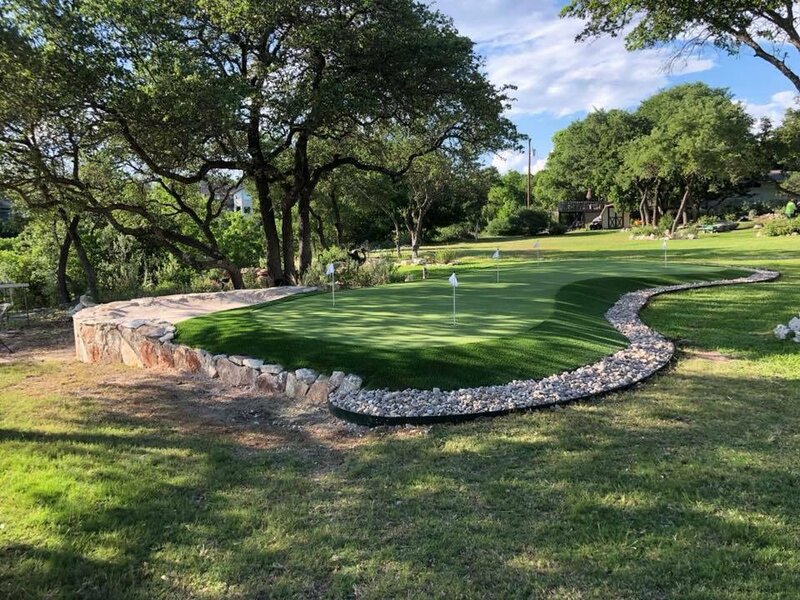 This artificial grass private golf course project is 15 years old and still going strong! Where did you hear about Celebrity Greens? ©2019 Celebrity Greens, LLC. All Rights Reserved.